The AsteRx2eL HDC dual-frequency L-Band receiver by Septentrio Satellite Navigation is equipped with a built-in L-Band modem. It is capable of tracking GPS, GLONASS and GNSS augmentation signals through Inmarsat satellites. 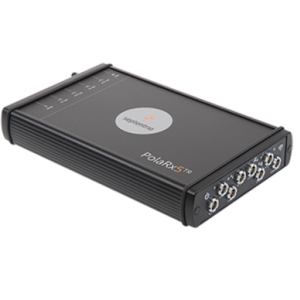 The receiver supports PPP (Precise Point Positioning), which allows it to calculate position precisely globally. This makes the receiver ideal for use in rural areas as well as on the ocean where infrastructure for providing correction data is unavailable. The AsteRx2eL HDC features an APME+ (A Posteriori Multipath Estimator), which provides effective multipath mitigation and enhances the accuracy of the received data. It also employs other latest GNSS+ technology, including Track, Lock, RTK, SPPP and AIM+, to offer highly accurate and reliable performance, even under unfavorable conditions. Moreover, the AsteRx2eL HDC is housed in a compact and waterproof housing. The easy to use RxControl GUI allows users to configure and control the receiver easily. Other tools, such as tools for data logging and reporting, are also included in the RxTools package.